Most people who move abroad enjoy the familiarity of an existing expat community and seek out destinations with a number of expats already in residence. There are a few of us who want to live among the local community, become a part of the local culture, and are happy if we rarely see another American or Canadian expat. You’ll make friends quickly and easily if you’re one of only a few North Americans in the area, and you’ll enjoy a smoother assimilation. You need to do more than find a place that isn’t overrun with expats or tourists… you also need to find a location that has the infrastructure and amenities that will allow you to enjoy your overseas life. This week, I’ll be looking at three of my favorite cities for “living like a local.” These cities are not expat-free (although the one in Uruguay may be). But you can enjoy the experience of living among the local people in an environment that’s free of a dominating foreign cultural influence. Capital of the eastern state of Veracruz, the city of Xalapa (hah LAH pah) is one of my favorites in Mexico. Xalapa has an extremely rare blend in Mexico of modern conveniences… a rich, traditional, and educated Mexican culture… and the energy and spark of a university town… without the dominating cultural influence of American or Canadian expats and tourists. Xalapa is a fairly big colonial city, with about a half-million residents in the town proper. It’s a city of rolling hills, with an elevation that runs between 4,300 and 4,800 feet (about 1,300 to 1,450 meters), depending on where you are in town. The elevation provides for pleasant temperatures that average about 15 degrees cooler than the nearby Gulf Coast, some 35 miles away as the crow flies. (Photo by Haakon S. Krohn)The local airport seldom has regularly scheduled flights. Most likely, you’ll need to drive to the international airport at Veracruz, which is 1.5 hours or so from the city. The average daytime high varies between 72°F and 82°F, with January being the coldest month and May the warmest. Most rainfall occurs between May and October, and there is sufficient rain to keep the town and surrounding area green and lush. Morning fog is common in the winter. Xalapa is home to about two dozen universities. As anywhere, the large presence of intelligent young people gives the city a youthful, vibrant energy. You may well decide to buy a full- or part-time retirement home here, but don’t expect the feel of a retirement community. The expat community in Xalapa is fairly small and well-integrated. There are an estimated 200 English-speaking expats in Xalapa itself (twice that if you count the surrounding towns) but I only ran into three expats during a weeklong visit. So if you’re looking for a welcome committee, expat hangouts, or English-speaking discussion groups, Xalapa won’t be the place to find them. But you will see a few familiar American icons here, such as Walmart, Sam’s Club, Costco, and Home Depot. You can actually find anything you’ll need in the shops downtown… but these stores will bring that familiar level of convenience that can be hard to find outside the United States. 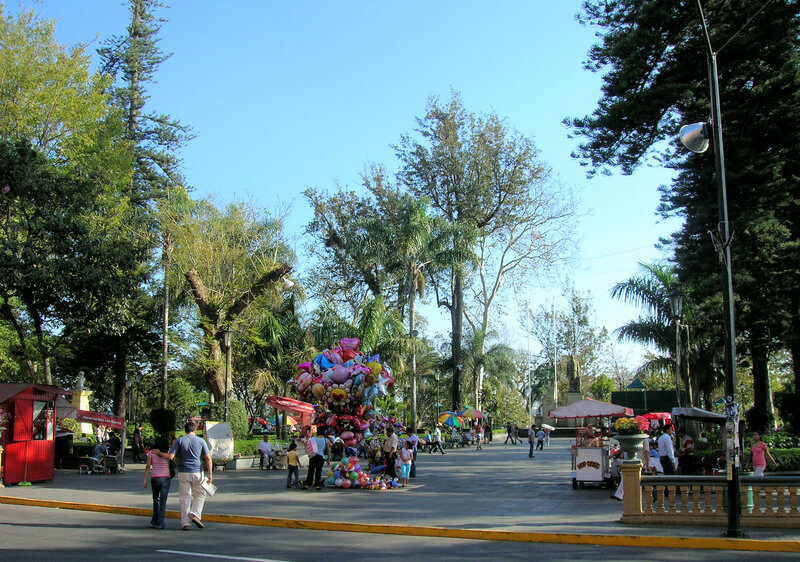 Xalapa has a number of lush parks and squares (known as zócalos in Mexico), each of which has a distinct personality. Parque Juárez exemplifies what I like about zócalos. It’s a busy social hub on Saturday night, with an almost carnival atmosphere… while Sunday brings a pleasant crowd of folks strolling and relaxing in the traditional Mexican Sunday style, people-watching and buying snacks from the street vendors’ carts. Parque Juárez has unique lookout, affording a breathtaking view of the surrounding hills and city. Traffic can be heavy downtown. If I had a home in Xalapa, I’d either walk or use the inexpensive taxis and public transit… at least in the downtown areas. Prices in Xalapa are inexpensive. However I don’t see any market force here that would cause prices to appreciate rapidly… so this is not a place to buy-and-flip for a quick profit. Xalapa is a great value, comparing its lifestyle to its property prices. Here are two examples of what’s on the market today. A two-bedroom, three-bath apartment with 85 square meters (914 square feet) of living area has nice woodwork and finishings throughout, a balcony, and garage space for one vehicle. The asking price is US$76,500 at today’s exchange rates (1.15 million Mexican pesos). Close to the center of town, a spacious 182-square-meter (1,958-square-foot) apartment is available with two bedrooms, two and a half bathrooms, generous living and dining areas, laundry room, and a single garage space. This location is convenient to downtown amenities and public transportation. The asking price is US$77,305 (1.4 million Mexican pesos). If I wanted to hide from an imminent lawsuit or a whopping divorce settlement, Treinta y Tres is where I’d settle. There’s a distinct feeling here in this ranching town of 26,000 that you’re completely removed from the rest of the world, which in many ways you are. If anyone were looking for me, I believe this is the last place they’d come. Treinta y Tres is located on the north bank of the Olimar Grande River, almost three hours inland from the coastal highway, up near the border with Brazil. (This is a part of the coast with deserted, wide beaches, virtually free of tourists.) It’s about 3 hours 40 minutes from the airport in Montevideo. Treinta y Tres (which means “thirty-three” in Spanish) got its name from the 33 Immortals, a group of revolutionaries led by Juan Antonio Lavalleja, who took the fight to the Brazilian Empire that ultimately resulted in Uruguay’s independence from post-Portuguese Brazil. Entering the town’s wide, shady, tree-lined streets—which are typical to all of Uruguay—you’ll find the nicest town plaza I’ve seen in the country. The centerpiece of the square is a monument bearing the names of the famous 33. Treinta y Tres enjoys four distinct seasons without any extreme temperatures, ice, or snow. The temperatures are hottest in January, with an average high of 85°F (29.6°C), while July, the coolest month, sees high temps averaging just over 61°F (16.4°C). 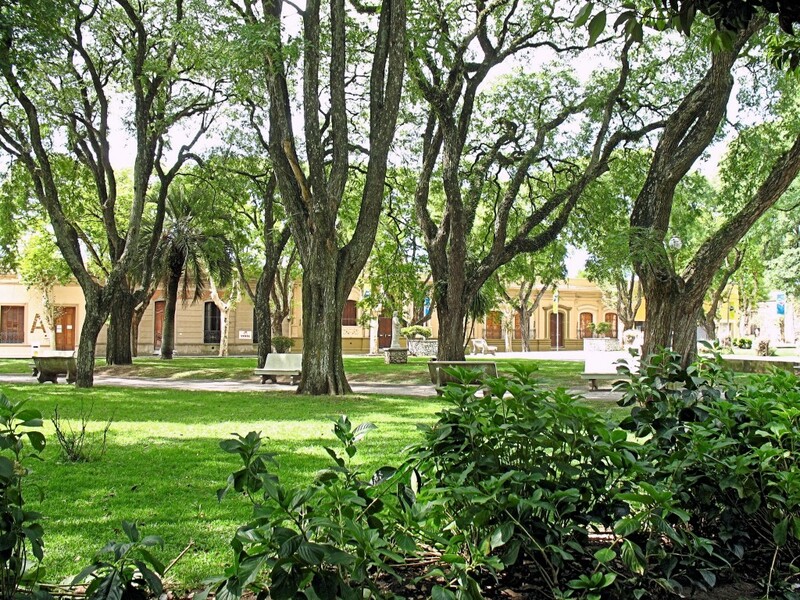 The lush town plaza is the nicest I’ve seen in UruguayTreinta y Tres is peaceful, clean, and quiet. The town plaza is its social center, where families enjoy the company of their neighbors, groups of men solve the world’s political problems over a chess board, and folks relax with the paper while their kids splash in the fountain. There are plenty of places to have a good meal (although not the fine dining you’ll find in Punta del Este or Montevideo), and Treinta y Tres has all the requisite necessities, such as supermarkets, bakeries, butcher shops, laundry facilities, hardware stores, etc. Best of all, it’s completely walkable. Treinta y Tres is not a tourist destination, nor is it an expat town. If your long-term plan is to speak only English, this won’t be a good choice for you. If there were such a thing as the “real Uruguay,” this is it. The property market in Treinta y Tres consists of the normal buying and selling that you’d expect in a place that’s not a tourist destination or big city. So it’s not a good market for buying and quickly flipping, or for generating a respectable rental income. Most of the market here is for houses rather than apartments, which are rare here. I’ve seen a few for sale, but the houses in Treinta y Tres are a better value, and more liquid. In the center of town, there’s a 100-square-meter (1,076-square-foot) house listed, with two bedrooms, a single bathroom, fireplace, and a spacious back yard featuring fruit trees and a barbecue area. There’s also a garage and perimeter fencing. The property is convenient to shopping, schools, and public transportation. The asking price is US$120,000. Another two-bedroom, single-bath house, also located near the center of town, is for sale. This one has a fireplace, garage, and large back yard, which includes a barbecue area and single car garage. The asking price for this property is US$90,000. I spent my first afternoon in the El Peñón sector of Cali, settling down to a chef’s selection of three mouthwatering pâtés accompanied by a crisp bottle of chardonnay. Beyond the front courtyard of the small café, people strolled and chatted in the small oval park as the French owner worked on the selection of homemade soups and crêpes that would soon come to the table. A pleasant medley of upbeat, provincial-sounding French music played in the background as the warm January breeze reminded me I was not in Europe or the frozen north. I can see why people like it here. In fact, I can see why some would prefer it to Medellín. Like parts of Medellín, Cali has done an excellent job of conserving its trees, with pleasantly shady streets in many sectors. At the confluence of three rivers among gentle hills, Cali offers plenty of shady parks and riverfront walking areas. This city is hardly the bastion of violence and drug lords that I’ve read about so frequently. Cali has warm weather, great nightlife, trendy cafés and restaurants, and some of the friendliest people in Colombia… plus a great selection of bargain real estate. Known as the world’s salsa capital, Cali offers a number of diverse lifestyle options, from very-high-end gated communities in a country setting… to a wide variety of lively downtown, city-living options—everything from colonial homes to gleaming, new high-rises. One of many tasteful condo projects in Cali, ColombiaThis city is very walkable. I explored a half-dozen neighborhoods where you could reside conveniently without a car. Cali has its own international airport offering nonstop service to the United States. If you’re looking for a large, well-organized expat community—or don’t plan on using any Spanish—then Cali will not be a good choice for you. But it’s a great place to experience Colombia. Cali has a broad selection of inexpensive real estate, even by Colombian standards. In a gated community in the tranquil Ciudad Jardín neighborhood, a four-bedroom, three-bath house is available, with 170 square meters (1,829 square feet) of floor space on three levels. This corner house has a nice-sized yard, with a two-car garage. The complex offers swimming pools, social areas, and 24-hour security. The asking price is just US$149,400 at today’s exchange rates (440 million Colombian pesos). In the leafy Santa Teresita neighborhood, I found a nearly new apartment on the market with 140 square meters (1,506 square feet) of living area, including three bedrooms and three baths. Less than a year old, this 3rd-floor property has large windows with great views. Plus, the building has 24-hour security. The asking price is US$132,400 (390 million Colombian pesos). 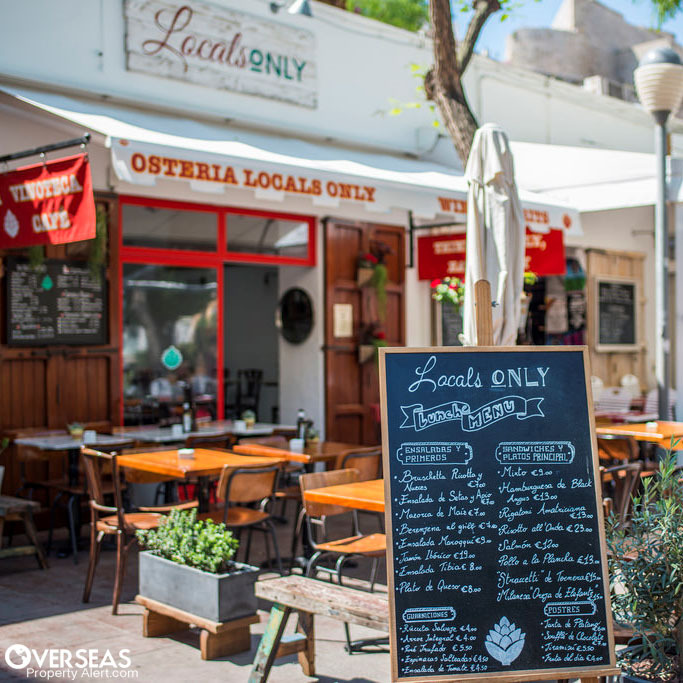 In each of the cities above (and many others around the world) you’ll enjoy a rich and rewarding expat experience, you’ll enjoy the local culture, and you’ll appreciate the best of living abroad. You may not have an English-language expat newspaper, but you’ll know what it’s really like to live like a local. My husband and I have had the pleasure of meeting you at Live and Invest Overseas conferences. Recently you wrote a very informative article on obtaining residency in Mexico, and unfortunately, we’ve lost track of where it was published. We are preparing to retire and are interested in obtaining permanent residency in Mexico… and believe your thorough discussion of the process would be helpful. We’ve been to Mazatlán and liked the city but are leaning towards Puerto Vallarta because of the many friends—both locals and expats—that we have made there. Could you please direct me to where you published your article? Thank you, so much, in advance. We always look forward to reading your writings. The article on Mexican residency was published in Simon Letter. That’s our chief publication for matters dealing with residency, citizenship, and offshore matters. Best of luck in Puerto Vallarta. I’m thinking of moving to Colombia. Are prices higher in Medellín or Cali? Prices are higher in Medellín than in Cali, both for properties and for other cost-of-living items. In some ways it’s worth it. 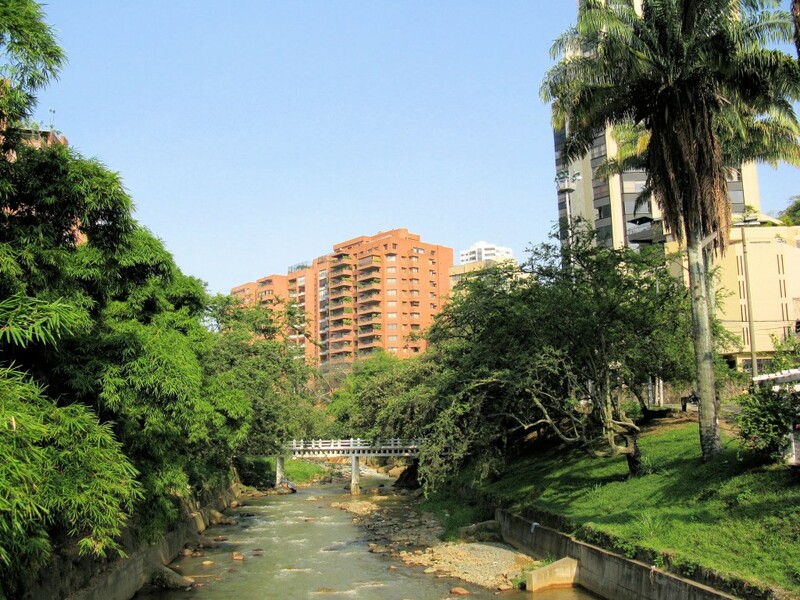 Medellín has milder weather and offers a more upscale environment. That said, Cali has its devoted fans… many of whom would never consider Medellín. They like the laid-back environment, the friendlier people, and the salsa (Cali claims to be the world’s salsa capital). And that’s not to mention the low property prices and cost of living. This is just to say Hi from Down Under and to congratulate you on your lucid and most-helpful articles. I am a retired U.N. officer so I have seen much of the world. I’m now retired in South Australia with a younger Filipina partner and her still-school-attending son, so I’m rather restricted in overseas venturing. Still, one does not lose of hope of further adventure—and your articles keep the embers alight!